Professor Charles Burnett shows that Fibonacci failed to give adequate recognition to other sources of learning which he took from to produce his Liber Abacci. These other sources were translations of Arabic works from Toledo and Sicily. In 1202 the first edition appeared of what has been regarded as the most important mathematical text of the Middle Ages—the Liber abbaci of Leonardo of Pisa, known as Fibonacci. Most general histories of mathematics tell us that this is the first textbook to introduce into the West, Arabic numerals, which have place value, and thus the first book to describe the methods of doing arithmetic that we use nowadays. Thanks to recent scholarship, however, we can now reassess the nature of Fibonacci's contribution. When my father, appointed by his homeland, held the post of public scriba (notary or representative) in the custom-house of Bejaia for the Pisan merchants frequenting it, he arranged for me to come to him when I was a boy and, because he thought it would be useful and appropriate for me, he wanted me to spend a few days there in the abbaco school, and to be taught there. Here I was introduced to that art (the abbaco) by a wonderful kind of teaching that used the nine figures of the Indians. Getting to know the abbaco pleased me far beyond all else and I set my mind to it, to such an extent that I learnt, through much study and the cut and thrust of disputation, whatever study was devoted to it in Egypt, Syria, Greece, Sicily and Provence, together with their different methods, in the course of my subsequent journeys to these places for the sake of trade. But I reckoned all this, as well as the algorism and the arcs of Pythagoras, as a kind of error in comparison to the method of the Indians (modus Indorum). Therefore, concentrating more closely on this very method of the Indians, and studying it more attentively, adding a few things from my own mind, and also putting in some subtleties of Euclid's art of geometry, I made an effort to compose, in as intelligible a fashion as I could, this comprehensive book, divided into 15 chapters, demonstrating almost everything that I have included by a firm proof, so that those seeking knowledge of this can be instructed by such a perfect method (in comparison with the others), and so that in future the Latin race may not be found lacking this (knowledge) as they have done up to now. With these nine figures and with this sign ‘0' which is called in Arabic ‘zephirum' (‘sifr'), any number can be written, as is shown below. Then he describes the principles of place value. He describes the forms of the numerals, and how to write large numbers (either by putting a dot –‘adcentare'– above each hundred, and below each thousand, or linking groups of three numerals with a ‘virgula'—a small curved stroke). Later he will describe how to write fractions, with a bar between numerator and denominator, just as we do, except that the fraction is to the left of the whole number. He ends his first chapter with an account of how to calculate on the fingers which was still regarded as the easiest and quickest way of performing intermediate calculations, the results of which would be written down in place-value numerals. The first seven chapters describe how to do arithmetic with this system of writing numbers. The next four chapters contain problems directly of concern to merchants, such as the price of goods, calculation of profits, barter, computation of interest, wages, currency conversions and metal alloys. Chapter 14 deals with calculating with roots of numbers. The last, fifteenth, chapter takes up the promise made in the preface concerning dealing with things ‘pertaining to geometry' and questions about algebra, for which Fibonacci gives two Arabic words (‘de questionibus aliebre et almuchabale'). One can easily see how Fibonacci fulfils his promise of dealing with geometry ‘arithmetically'. For where Euclid would design squares and their sides, Fibonacci uses numbers and the terms ‘res' (‘thing') for the unknown quantity (x) and ‘census' (‘property') for the square of the unknown. The Practica geometriae to which he refers in the preface to his Liber abbaci, deals both with practical measurement problems, in which the measurements used in Pisa are given, and with more theoretical geometry. In this book equations are, indeed, expressed geometrically, so that 4x2 – x = 3 is described as ‘If from the sum of the four sides, the square surface is subtracted, then three rods remain'. Here, too, he introduces trigonometry, giving a table of half-chords from given arcs. The Liber abaci and Practica geometriae are the two major works of Fibonacci (encompassing 387 and 224 tightly-packed pages of text in Baron Boncompagni Baldassare's nineteenth-century edition). There are a few more, shorter, works, including a Flos (‘Flower') and a Liber quadratorum (‘Book of Squares'). All these works show Fibonacci to be a consummate mathematician. But he did not spring from nowhere. I should like to spend the rest of this essay exploring how it was possible for him to achieve what he did, and whether we can entirely believe what he says about the sources of his knowledge, in the preface to the Liber abbaci. The first thing to say is that, at the beginning of the thirteenth century Arabic numbers and calculation with numerals having place-value were not at all new to Latin scholars in the West. We may summarise the history of their diffusion: The Indians developed a set of nine symbols to represent all numbers, to which, later, they added a symbol for zero. These numbers and their use in calculation were known to the Syrian scholars Severus Sebokht who wrote in 662 C.E. of the Indians' ‘subtle discoveries in the science of astronomy, which are more ingenious than those even of the Greeks and Babylonians, and their method of calculation which is beyond description—I mean that which is done with nine symbols'. Indian mathematics and astronomy were introduced into the Arabic world, most conspicuously in a celebrated mission to the court of the caliph al-Mansur in Baghdad in 771 C.E. which included a set of astronomical tables. This, or another set of Indian astronomical tables—by Brahmagupta—were revised or translated by Muhammad ibn Musa al-Khwarizmi. The same al-Khwarizmi wrote (ca. 825 C.E.) a text on Indian computation --kitab al-hisab al-hindi--and another text on addition and subtraction, kitab al-jam' wa'l-tafriq, neither of which survive in Arabic, but both of which, presumably, described the use of place-value numerals. He also wrote al-jabr wa ‘l-muqabala (in which ‘algebra' can be recognised in the first word). The earliest extant Arabic work on Indian arithmetic is the kitab al-fusul fi'l-hisab al-hindi of Abu'l-Hasan Ahmad ibn Ibrahim al-Uklidisi (the ‘Euclid-man'), composed in Damascus in 952-3 C.E. and surviving in a unique manuscript written over two centuries later, in 1186. We have, in fact, hardly any early Arabic examples of the use of place-value numerals. Two legal documents written on papyrus in the Fayyum in Egypt, may have place-value numerals for the Hijra dates 873/4 and 888/9 written on them (but this is disputed); otherwise the examples we have are not earlier than the eleventh century. By the twelfth century a difference in the writing of numbers in the Western and Eastern part of the Arabic world had developed. This difference is described by the Moroccan mathematician, ibn al-Yasamin, who died in ca. 1204 C.E. but the earliest Arabic manuscript in which the Western forms have been identified is of 1284). It is rather in Latin manuscripts that we have the earliest certain examples of the use of place-value numerals outside India itself. ‘We must know that the Indians have a most subtle talent and all other races yield to them in arithmetic and geometry and the other liberal arts. And this is clear in the 9 figures with which they are able to designate each and every degree of each order (of numbers). And these are the forms'. These words make it clear that Vigila understood how the place-value numerals were used. He may have acquired this familiarity from Christians, educated in al-Andalus (‘Mozarabs'), emigrating to the North of Spain. Nine years earlier, Gerbert d'Aurillac, at about the same age as Fibonacci was when he went to Bejaia, was invited to go to Catalonia, where he studied mathematics for three years under the supervision of Hatto, bishop of Vich. 150 years later Gerbert is said, by William of Malmesbury, to have ‘snatched the abacus from the Arabs'. The true situation is probably that Gerbert decided to use Western forms of the place-value numerals, as we see them in the Vigila manuscript, to mark the counters of a particular kind of abacus, which was attributed to him in manuscripts before the end of the tenth century. Two manuscripts depicting this abacus mention that Gerbert ‘[gave] to the Latin world the numbers of the abacus and their shapes'. This kind of abacus remained popular for teaching arithmetic and demonstrating the powers of numbers until at least the mid-twelfth century. But it is important to emphasise that it was used only in intellectual circles, and not by merchants. This is precisely the ‘arcs of Pythagoras' (‘arcus pictagore') criticised by Fibonacci. It is indeed a cumbersome way of doing arithmetic, but at least it shows, graphically, how numerals with place value operate. The Arabic author's name, as we know, gave rise to the term ‘algorithm'. ‘Algorismus' as a term describing this Indian kind of calculation first appears in the mid-twelfth century, replacing a term ‘helcep sarracenicum' (‘Saracen calculation'), which was briefly used. The abacus soon gave way to the algorismus, in which calculations could be done easily with parchment and pen, and the zero became essential. By the end of the twelfth century the ‘algorismus' was widespread and it would certainly have been known to Fibonacci. In fact he refers specifically to the ‘algorismus', in the preface to his Liber abbaci, as we have seen. But it is difficult to see why he should criticise it alongside the ‘Gerbertian abacus', and state that the ‘method of the Indians' is better, when the ‘algorismus' is precisely ‘the method of the Indians'. I suspect that his reason is that he thinks that, or wants to give the impression that, his own work is truly innovatory, for he scrupulously avoids mentioning the name of al-Khwarizmi. (In chapter 15 he uses only al-Khwarizmi's first name (ism), ‘Maumeht'). Are we to suppose that Fibonacci was, in fact, ignorant of this Latin tradition of Indian arithmetic, and re-introduced the place-value numerals afresh from the Arabs? Our knowledge of the time and place in which he lived suggests the contrary. We know that Fibonacci's family had been in Pisa from at least the early twelfth century. Pisa was not only the commercial hub of the Mediterranean, but also one of the most important intellectual entrepots in the twelfth and early thirteenth centuries. Moreover, place-value numerals had been used (and not just described in an algorismus) in Pisa at least since 1149. This is the date when the Tables of Pisa were written: these being based on tables by the Arabic astronomer al-Sufi, introduced from the Crusader States. The instructions for the tables (if not the tables themselves) were written by the Jewish polymath Abraham ibn Ezra who came from Tudela in Northeast Spain. Abraham's Latin collaborators regularly used the place-value numerals, and brought with them to North Italy, texts written and translated from Arabic by other scholars from Northeast Spain, such as Hermann of Carinthia and Hugo of Santalla. What is distinctive about all these texts is that the numerals are written in the Eastern form, probably because that was the form used by Greek scholars in Byzantium, as well as by the Eastern Arabs. Perhaps amongst this material were translations by Plato of Tivoli, who worked in Barcelona, for a later copy of his (?) De electionibus is written in these Eastern forms. Recently it has been shown that Fibonacci used Plato of Tivoli's Liber embadorum (1145), which is based on the second book of al-Khwarizmi's Algebra. But there is more: the Eastern forms also appear in a translation of Euclid's Elements made directly from Greek whose earliest manuscript—MS Paris, BNF, lat. 7373—was written in Tuscany. Moreover, it has been demonstrated by its editor that this version of Euclid's Elements was known to Fibonacci, and it has even been suggested that Fibonacci may have added an appendix found in this manuscript, in which remarks about the difference between the Greek and Arabic versions of the Elements are made. Thus there were already texts in Pisa that Fibonacci could have known from his youth. Then presumably towards the end of the century, products of the school of Toledo are brought to Italy. The greatest of the 12th-century translators in Spain is Gerard of Cremona (1114-87). It is evident that Arabic mathematics was studied with great care and in a systematic way in the precincts of the cathedral of Toledo. The major works of Greek mathematics were translated from Arabic: Euclid's Elements, Ptolemy's Almagest etc. But also the contributions of Arabic mathematicians were read and translated. Gerard was responsible for translating al-Khwarizmi's Algebra. A colleague of his (named ‘magister Iohannes', or ‘magister Iohannes Hispalensis') was responsible for the Liber Alchoarismi de pratica arismetice, the most complete exposition of Arabic arithmetic (and algebra) of the twelfth century. Probably the same ‘Iohannes' wrote the Liber mahamalet, a book on commercial arithmetic which is based on Arabic material. We are told that after Gerard's death, his books were taken back to Cremona. We have no independent proof of this, but it is highly significant that the earliest collection of these Toledan mathematical texts was either made in Toledo and brought to northern Italy, or was in fact made in northern Italy. This collection (‘the Toledan mathematical collection') consists of three manuscripts, all copied in the same hand: Paris, BNF, lat. 9335 and 15461 and Vatican City, BAV, Ross. lat. 579. Paris, BNF, lat. 9335 comprises most of the translations of works on arithmetic and geometry by Gerard of Cremona, except his version of Euclid's Elements which is in the Vatican manuscript. Paris, BNF, lat. 15461 includes both the Liber Alchoarismi of ‘magister Iohannes', and the Liber Mahamelet. The decoration of lat. 9335 has been identified as that distinctive of the Paduan region in the early thirteenth century. The forms of the numerals, however, are different from those in the ‘Pisan' and ‘North Italian' manuscripts I have described so far. They are, rather, the Western forms, and most similar to those described in a twelfth-century Munich manuscript as ‘toletane f[igure]' . Also, they resemble the numerals used by Raniero, a notary in Perugia, from 1184 until 1206. So these forms were already in Northern Italy by the end of the twelfth century. 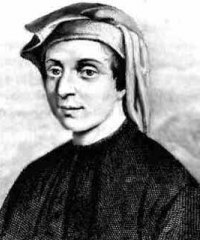 Fibonacci could certainly have come across mathematicians and scribes using place-value numerals in his native Northern Italy, and the evidence of his Liber abbaci shows that he knew, in particular, the corpus of mathematical works issuing from Toledo. Fibonacci used Gerard's translation of the Algebra of al-Khwarizmi, the Book on Ratio and Proportion of Ahmad ibn Yusuf ibn ad-Daya (‘Ametus filius Iosephi') and the Book on Geometry by the Banu Musa, all of which are contained in Paris, BNF, lat. 9335. He also used problems from the Liber mahamalet, which is in lat. 15461. These very mathematical works have been copied from these manuscripts into an Italian manuscript, now Paris, BN lat. 7377A, which includes, in addition, a translation of the Algebra of Abu Kamil (written before 912). As Roshdi Rashed has pointed out that in his chapter on algebra Fibonacci deals with more than 90 problems, 22 of which come from al-Khwarizmi's Algebra (in Gerard of Cremona's translation), but 53 of which come from the Algebra of Abu Kamil (the remaining 25 or so can all be explained as Fibonacci's own variants of problems in both these Arabic authors). Now, the Algebra of Abu Kamil was already known to Latin scholars, because the author and many of the problems from his book had already been incorporated into the Liber Mahamalet. However, the separately-occurring translation of Abu Kamil's work in Paris 7377A, is more likely to be the source for Fibonacci, since the terminology it uses is very similar. Moreover, glosses in this manuscript are ‘signed' with the letters ‘G. W.' which could stand for the name Guilelmus Lunensis, i.e. William of Luna, who translated Averroes's commentaries on some of the logic texts of Aristotle in Naples in the 1230s, apparently working alongside Jacob Anatoli, who translated the same works into Hebrew. Anatoli specifically says that he made these translations thanks to the support/patronage of Frederick II. The association of Fibonacci with the cultural entourage of Frederick II is very strong. As we have already seen, Frederick II's ‘astrologer', Michael Scot, according to Fibonacci, spurred him into making a complete revision of his Liber abbaci. In 1225 Frederick arranged to meet the scholar in Pisa, and the Emperor's ‘philosopher' John of Palermo posed several questions to him, while another ‘philosopher' in the service of the Emperor, Theodore of Antioch, posed another question to Fibonacci, and was, in turn, asked by Fibonacci to read through the Flos to bring it into good order. Frederick II's scientific interests and his lavish patronage enticed several scholars to his court, including Michael Scot, whose career at least until 1217 had been in Toledo. In fact, with Michael, one can see a shift in the centre of translation of the works of Aristotle and his Arabic commentators from Toledo to Italy, and Michael, though attested also in Bologna, at the Papal court and in Palermo, used the Pisan style when giving dates. What is becoming clear, then, is that Fibonacci was both indebted to the mathematical works translated or composed in Toledo in the twelfth century, and was associated with the circle of scholars who were continuing the ‘Toledan' translation tradition in Italy in the first half of the thirteenth century. How can we explain, then, his reticence concerning his debt to his Latin predecessors? In fact, in avowedly replacing the ‘algorismus' by the ‘modus Indorum', he gives the impression, probably deliberately, of rejecting the work of his predecessors. Are we to take with a grain of salt his story of learning the abacus in an Arabic context in Bejaia? The most recent scholar of Arabic mathematics who has investigated the matter, Roshdi Rashed, has argued in detail that Fibonacci was not aware of any developments in Arabic mathematics posterior to the early eleventh century; thus he is ignorant of scholars of the calibre of Umar al-Khayyam (ca. 1048-1131). His algebra, as we have seen, depended entirely on works of the ‘first period of Arabic mathematics' represented by al-Khwarizmi (early 9th century) and Abu Kamil (early 10th century). The reason for this, I believe, is that the text-books and scholarly works that Fibonacci had access to, belonged to the Latin intellectual tradition which itself took from the Arabic intellectual tradition, but these works were not actually in Arabic. It is possible that certain Arabic manuscripts travelled with manuscripts of the Latin versions of the texts (we have some evidence for this), but it is quite likely that Fibonacci had no direct contact with his contemporary Islamic scholars and no direct access to Arabic manuscripts in the Islamic world, for his experience of the Islamic world was as a merchant, and the Arabic-speakers that he would have met were fellow merchants. This is clear from what we find in the Liber abbaci. Whereas the arithmetical procedures and the formulas of the problems and theorems can for the most part be derived from Latin textbooks available to Fibonacci, the examples are taken from his personal experience of trading. The names of the currencies and the units of measurement reflect the variety that merchants would have found trading from one end of the Mediterranean to the other. One example starts with the words ‘If someone finds oneself at Bejaia or Ceuta (apud bugeam vel septim) and has in his ship 31 cantaria and 64 rotuli of wheat and wants to change them for cantaria of animal skins' etc. The places mentioned here are Islamic trade centres and qintar and ratl are Arabic units of weight. The liberal sprinkling of Arabic words throughout the text attests at least to Fibonacci's acquaintance with spoken Arabic. We need not, however, doubt his own words about becoming acquainted with place-value numerals and the Indian method of calculating in Bejaia. The Latin phrase he uses ‘studium abbaci', is a precise equivalent to the Italian ‘studio' or ‘scuola d'abaco'. This was kind of a school for giving rudimentary courses in business arithmetic for merchants and other professions who had to deal with accounts, which started to appear in several Italian cities in Fibonacci's lifetime. The simple abacus was the main instrument used in these schools, but place-value numerals progressively became the medium for writing down calculations. There may well have been such a school in Bejaia, run for the benefit of the merchants there, either by Italians, or by local Arabic teachers. The fact that the numerals in the early manuscripts of Fibonacci's works, while being in the Western form, differ slightly in appearance from those in the manuscripts of the Toledan mathematical texts, could be due to their being re-introduced by Fibonacci from Bejaia, where Arabic scribes would also have been using the Western forms. One could suggest, then, that Fibonacci really was inspired by the experience in his youth among Arabic and Italian merchants in Bejaia, and this inspiration led him to seek out the most sophisticated texts in arithmetic that he could find. These happened to be, for the most part, Latin translations or adaptations of Arabic texts, rather than the Arabic texts themselves, and he probably found them among mathematicians in Pisa and elsewhere in Northern Italy. However, his master work still retains in its title the reminiscence of the ‘studio d'abaco' that started him on his mathematical quest, and eventually led him to write works that were to inspire, in turn, the first mathematicians of the European Renaissance. Georges Ifrah, The Universal History of Numbers, English version, London, 1998 (especially pp. 577-91). Rosdhi Rashed, ‘Fibonacci et les mathématiques arabes', in Micrologus 2, 1994, pp. 145-60. C. Burnett, ‘Fibonacci's ‘Method of the Indians', in Bollettino di Storia delle Scienze Matematiche, 2004 (a collection of articles on Fibonacci). Bollettino di Storia delle Scienze Matematiche, 23, 2203, pp. 103-113.